When her children were ready to have laptops of their own, Jill Ross bought software that would keep an eye on where they went online. One day it offered her a real surprise. She discovered that her 16-year-old daughter had set up her own video channel. Using the camera on her laptop, sometimes in her bedroom, she and a friend were recording mundane teenage banter and broadcasting it on YouTube for the whole world to see. For Ms. Ross, who lives outside Denver, it was a window into her daughter’s mind and an emblem of the strange new hurdles of modern-day parenting. She did not mention it to her daughter; she just subscribed to the channel’s updates. The daughter said nothing either; she just let Mom keep watching. “It’s a matter of knowing your kids,” Ms. Ross said of her discovery. Parents can now use an array of tools to keep up with the digital lives of their children, raising new quandaries. Is surveillance the best way to protect children? Or should parents trust them to share if they are scared or bewildered by something online? The answers are as varied as parents themselves. Still, the anxieties of parenting in the digital age have spawned a mini-industry, as start-ups and established companies market new tools to track where children go online, who they meet there and what they do. Because children are glued to smartphones, the technology can allow parents to track their physical whereabouts and even monitor their driving speed. If, a few years ago, the emphasis was on blocking children from going to inappropriate sites on the family computer, today’s technologies promise to embed Mom and Dad — and occasionally Grandma — inside every device that children are using, and gather intelligence on them wherever they go. A smartphone application alerts Dad if his son is texting while driving. An online service helps parents keep tabs on every chat, post and photo that floats across their children’s Facebook pages. And another scans the Web in case a child decides to try a new social network that the grown-ups have not even heard of yet. The average American family uses five Internet-enabled devices at home, including smartphones, a recent survey by Cox Communications and the National Center for Missing and Exploited Children found, while barely one in five parents uses parental controls on those devices. In Richmond, Va., Mary Cofield, 62, is one of the careful ones. She struck a deal with her 15-year-old granddaughter last year. The girl was offered an Android phone with full Internet privileges, so long as Grandma could monitor her every move. Ms. Cofield, a retired government tax agent who runs an online travel business, chose a tool called uKnowKids.com, which combs the granddaughter’s Facebook page and text messages. UKnowKids sends her alerts about inappropriate language. It also offers Ms. Cofield a dashboard of the child’s digital activities, including what she says on Twitter, whom she texts and what photos she is tagged in on Facebook. It translates teenage slang into plain English she can understand: “WUD” is shorthand for “What are you doing?” Ms. Cofield checks it daily. Surveys, including by the Pew Research Center, have found that two-thirds of parents check their children’s digital footprints and nearly 40 percent follow them on Facebook and Twitter. But the Pew study suggests that this monitoring is also likely to lead to arguments between parent and child. What’s more, technology is at least as nimble as adolescents, and neither parents nor the technology they buy can always read a teenager’s mind. Sometimes children deactivate their Facebook accounts except at night, when they know their parents are not likely to be logging on. They roll over to new sites, often using pseudonyms. Very often they speak in code designed to stump parents. Her mother took it literally, which is what the girl had wanted. Her friends, however, read it for what it was: The girl was sad, and her post was meant to be ironic. Read the whole post featured on the front page of The New York Times. 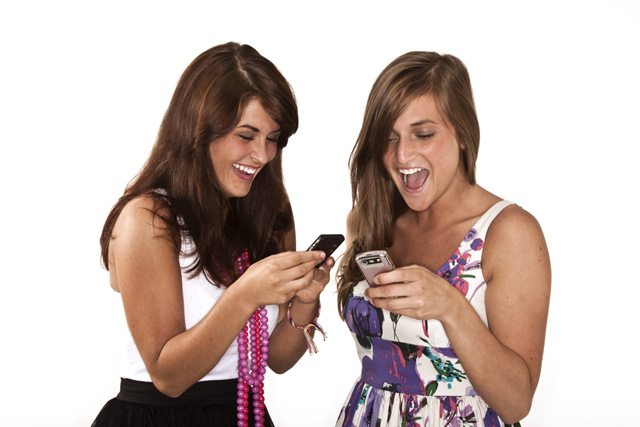 What is the Average Age That a Teen Starts Sexting?